One of the biggest mistakes people make that zaps their energy is having big ups and downs of their blood sugar. If you get “Hangry” which is very hungry and agitated, or shaky or weak, or unable to think clearly when you delay eating, then you are at risk for having low blood sugar. Your body also releases cortisol that slows down your metabolism, and increases your adrenalin. This stress hormone will also make you more anxious and have less mental focus. Then, we tend to overcompensate for that hunger or low blood sugar symptom by overeating, as a result, it is common to have a yo-yoing effect of blood sugar highs and lows that cause inflammation in our body. 1. Limit your sugar intake to 10% of your calories. Ideally, consume sugar from fruits, natural sweet vegetables like carrots, peas. Avoid all sweet drinks, or food made with white flour, sugar, sweeteners, or high fructose corn syrup. Also avoid artificial sweeteners like aspartame. 2. Start your day with a breakfast high in protein, at least 30 grams. Consider a protein shake. 3. Don’t wait until you are starving to eat, eat every 3-4 hours, and have healthy snacks like hummus, nuts and edamame handy. 4. 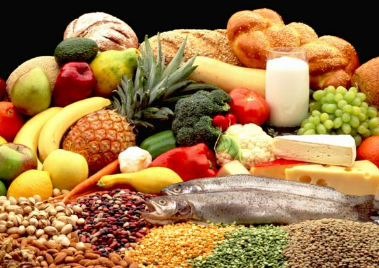 Always eat a combination of complex carbs (beans, whole grains, roots), fibers, proteins and fats at each meal. 5. Choose Low Glycemic Index foods that takes longer to break down in your body and cause a slower rise of blood sugar. Usually these are foods high in fiber, like berries, peas, beans, whole grain, steel cut oats, nuts. So over next 30 days, change your relationship with sugar. As you eat less sugar, your body adapts to the effects of a balanced sugar level, and you will have less sugar cravings. You will feel full more easily. Your brain and body will also function more efficiently.